Now that it is day three of the Thanksgiving leftovers plan, it is time to dust off those holiday decorations and "holiday-i-fy" your house. But first things first, you have to get the perfect tree! So Clark, why don't you rev up the ole station wagon and head to the nearest "chop shop" and pick out your 2010 Griswold family Christmas tree? To make the search for the perfect tree a little easier, the Virginia Department of Agriculture and Consumer Services put its 2010 Virginia Grown Christmas Tree Guide online so you know you are "chopping" locally! Do you live in Maryland? No worries. 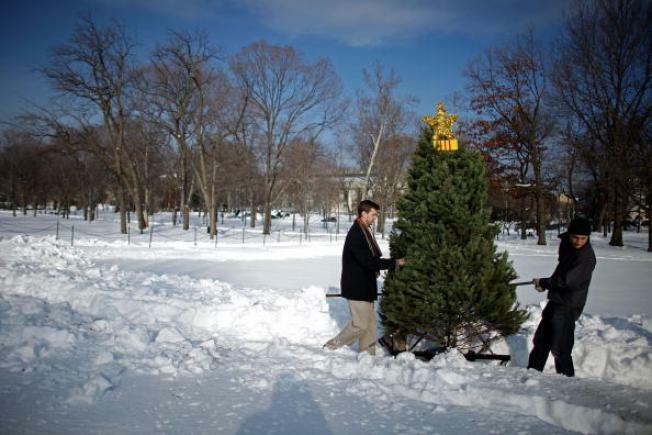 Maryland's Department of Agriculture put their Christmas Tree Guide online as well. And don't forget, when you have everything decorated just right, then paparazzi it and send us the picture!